Back in the beginning of January we were lucky enough to get one of the first sets of the new Mavic Crossmax Wheel sets to try. As regular customers will know we have not been the biggest fan of “Factory” wheels from Mavic. This is due to the design of the free hub mechanism, lack of bearing on the inside of the freewheel body and the weight, often way out from claimed weight. The stiffness of the alloy spoke was always good just let down by the rest of the package, in our opinion. 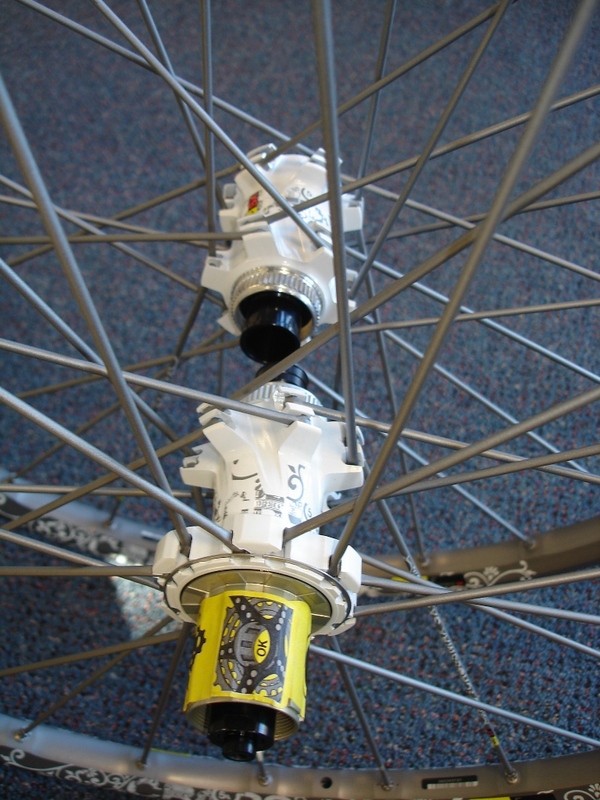 These wheels for 2009 have a completely new free-hub and bearing system that now has 4 pawls on the freewheel body and a full compliment of bearings. The weight has been improved and the claimed weight of 1755 grams (we weighed them At 1760!). Like most Mavic wheels they are UST so we run them with standard Maxxis tyres and some Stans sealant. This pair was also centre lock for the disc which is ideal for us as we prefer the current brake offerings from Shimano. We have had some issues with the new Saint brakes squealing on 6 bolt rotors so were keen to try Centre lock rotors. So after 5 months of use on all types of terrain the wheels have been awesome, and humble pie is being eaten. 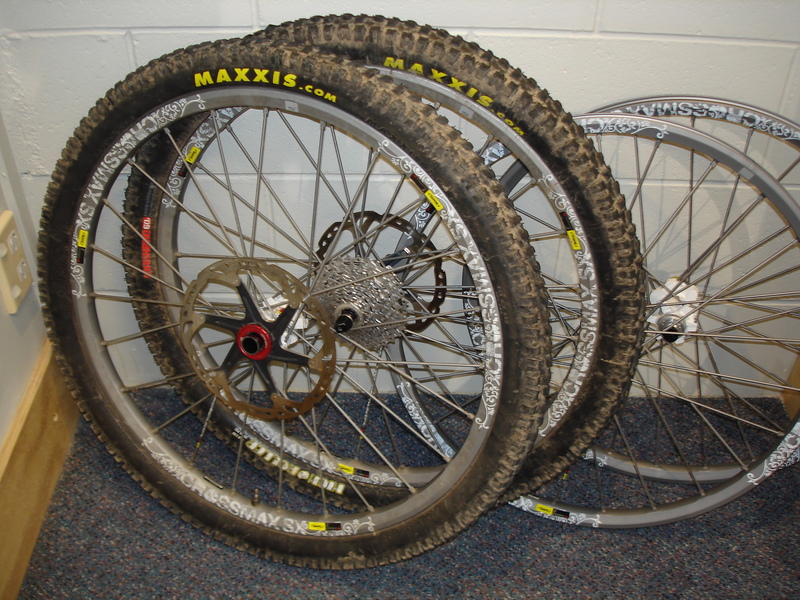 Our comparison to these wheels were I Nine Enduro wheels which we have been building and riding for a few years now. 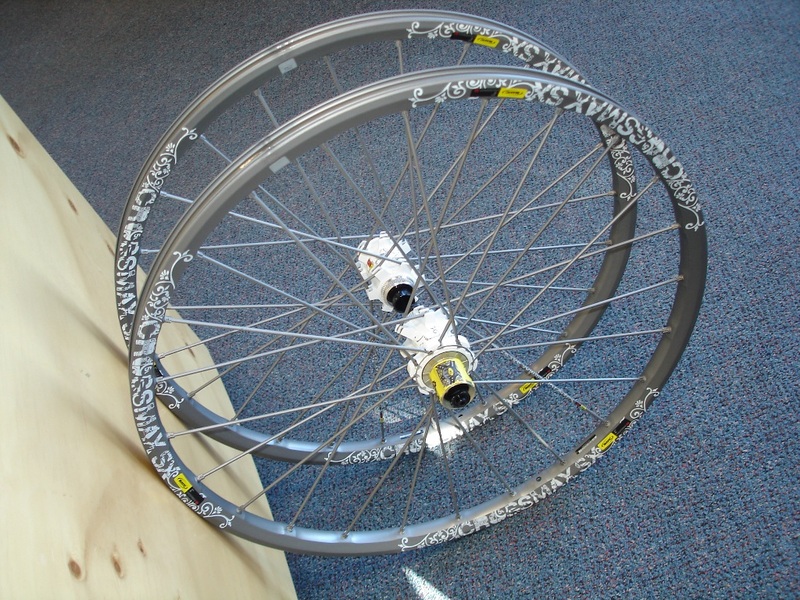 In our opinion they were a Mavic done right! Low rotational mass, very fast engagement, alloy spokes using standard rims. While the Mavic’s may not engage as fast the weight is slightly better (60 grams per pair) and they feel a little quicker. Under high load cornering the I Nines would make a few spoke pinging noises but the Mavic’s run silent. The only issue we’ve had was a pinging from the rear drive spokes under load as the touched at the crossings. This was easily fixed though. Trueness and balance was good out of the box (approx+/- 0.1mm) and has remained good with no need to true. While we can build truer wheels that run trouble free the complete package has proved to be very good. We now offer them on build options and they are finally in stock and ready to go………..until we find something else that’s as good……….more on that in another post! ← How (not) to ride in the snow!